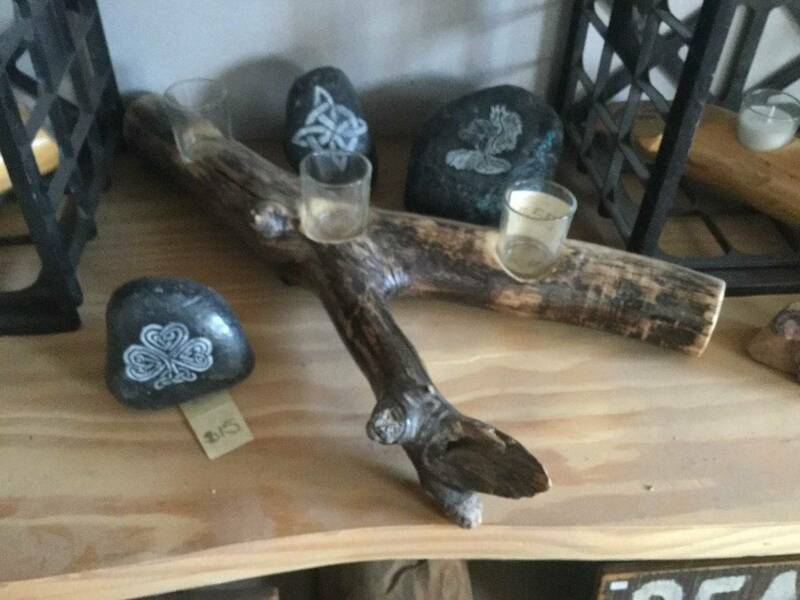 This set includes a candle holder and 3 painted rocks. 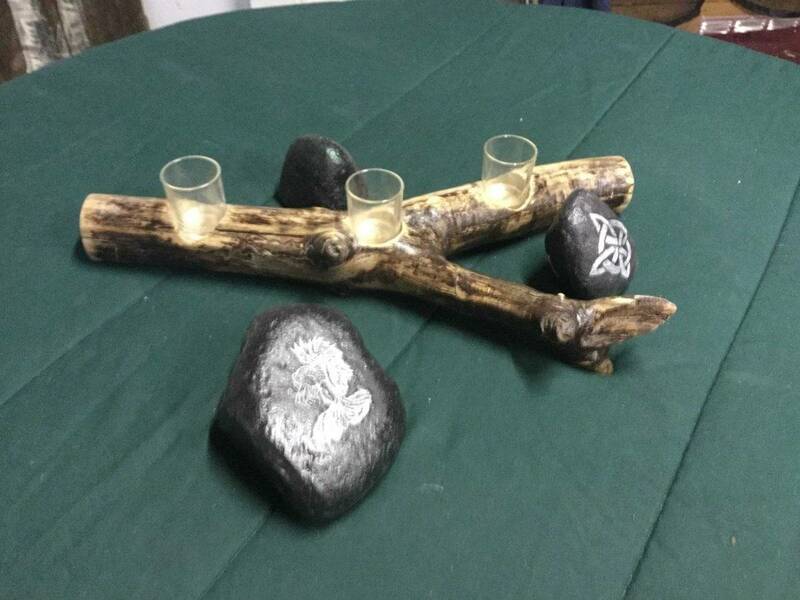 The candle holder is made from a piece of Aspen from the Black Hills, we applied 3 coats of polyurethane to it. 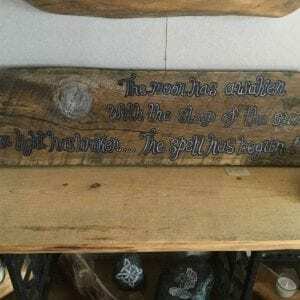 The rocks were found in Bogus Jim Creed, and I painted them black then drew a fairy and celtic designs on them, added some sparkles and 3 coats of polyurethane. 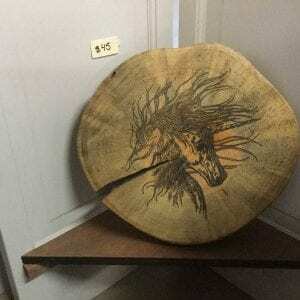 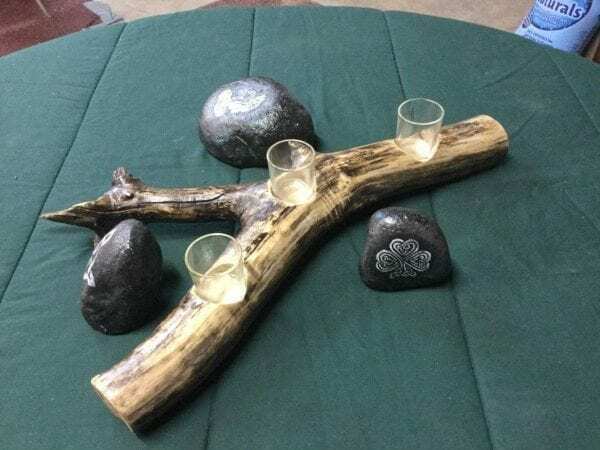 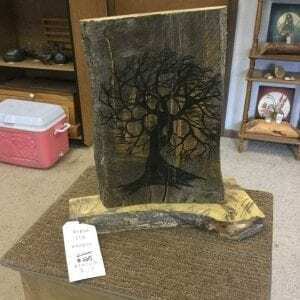 A great piec of home décor for that person who enjoys celtic design.